Last week, we were visiting my parents in Florida. My wife and son were in the bathroom getting ready for bed when I heard my wife’s voice start to go up in a combination of nervousness and excitement before she let out a huge cheer. My son came running from the bathroom, mouth dripping with blood exclaiming “I lost my first tooth!” My wife followed, beaming, with the tooth wrapped up in tissue paper. I stood up and gave him a big hug. Grandma and Grandpa came in to the room and congratulated him, and we all set about making the necessary preparations for the long anticipated tradition. 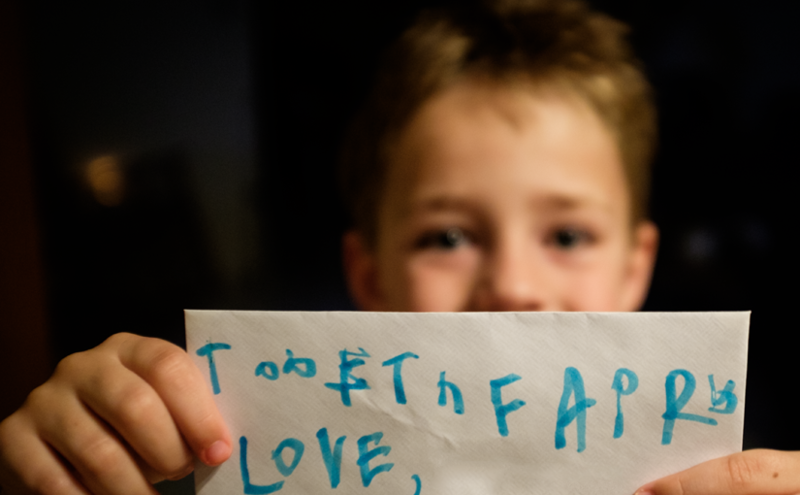 Grandma brought in an envelope, which my son addressed to the Tooth Fairy (with love) and slid his tiny tooth inside. He finished getting cleaned up and rushed in to bed, eager to fall asleep so that he could wake up to see the bounty that the Tooth Fairy had traded for his precious pearly white. During the last year, my son has dealt with so many obstacles that most kids will never deal with, but that night he experienced something that most kids get to experience. There was no cloud of epilepsy hovering over the event, no addition of the disclaiming phrase “because he has epilepsy” that sometimes accompanies other milestones. There was just a kid, my son, mouth bloodied with his tooth in an envelope, excited about the Tooth Fairy. 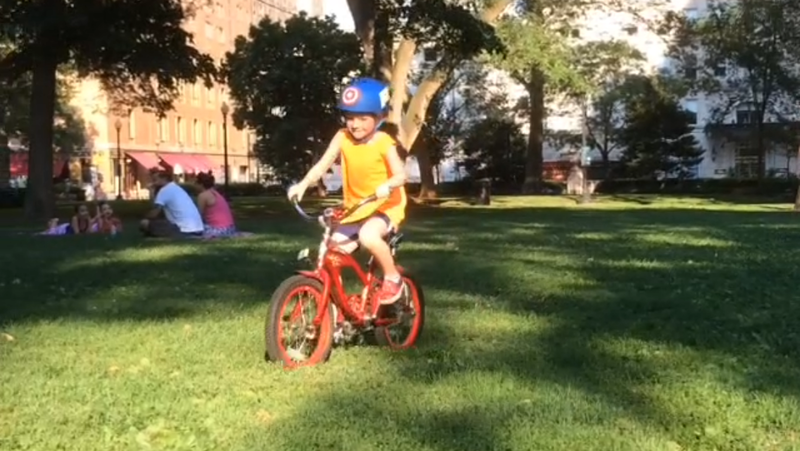 A few weeks before our trip, there was another rite of passage when my son rode his bike for the first time without training wheels. A great achievement, for sure, but amplified by the knowledge that there was a period in February when he couldn’t walk or talk, followed by months of severe ataxia where he would shake and wobble and fall. Those first ten feet of training wheel-less peddling reminded me of my agile two-year old boy zipping around our neighborhood on his balance bike, long before we had any knowledge of seizures and epilepsy and ataxia. My wife and I cheered for him as he traversed the park, found his balance, learned how to stop, and looped around trees. A couple near us that was watching him commented at how amazed they were that it was his first time. To them, he was just a normal boy out doing normal boy things. If they only knew. But for a few moments, we felt exactly the same way. There will be many challenges in my son’s life, some because of his epilepsy, some not. There will be times when even good moments will have attached to them a caveat about his condition. It’s hard, very hard, to be present in those moments and not think about the past before any of this happened, or the future and its possible limitations. But it is my responsibility and my privilege to be present, to let my son know that I am there for and with him, and to celebrate all things, big and small.